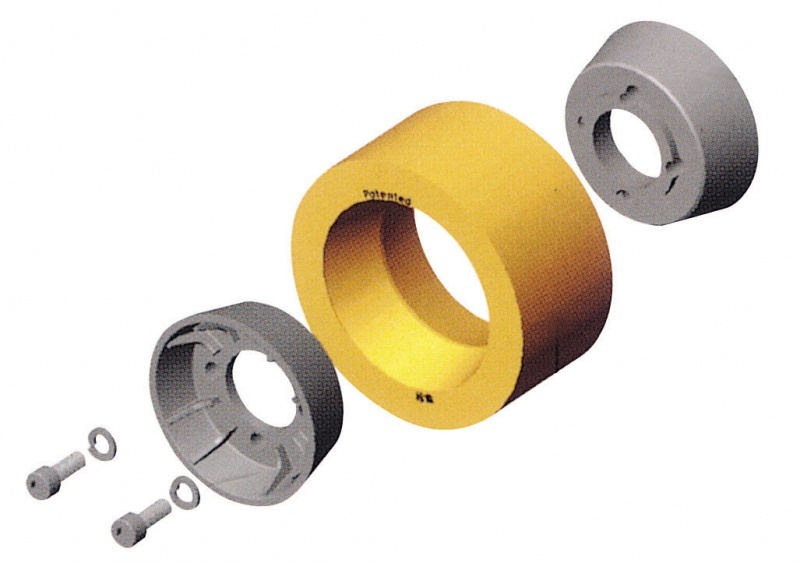 Power Feeder Hub & Polyurethane Tire used on nearly every power feeder brand and model. 120 x 60mm. Simply replace outside tire. Bolt Holes (Center to Center): 1-7/8"
Just replace the outside tire with either Rubber or Polyurethane feeder tires.